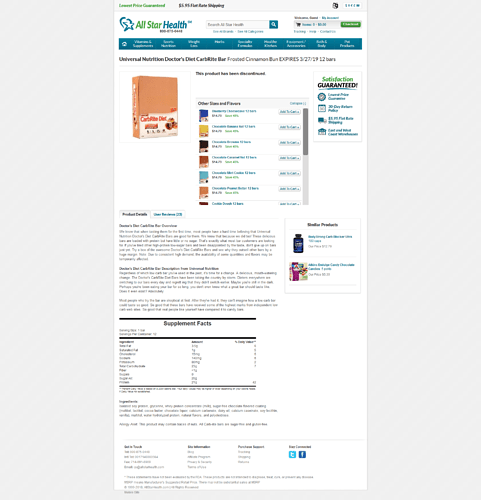 Universal Doctor’s CarbRite Diet Bars - 12 Bars (Frosted Cinnamon Bun) for $9.60 at AllStarHealth! These unique bars have 21g protein and have been around forever! They’re using glycerine as the binding agent. This is a sugar alcohol with lower glycemic impact (less blood sugar spike) than regular sugar. Thanks to the low-fat nature, it’s also pretty low-calorie. With soy and so much sugar alcohol, we would eat only one per day, but that’s what gets a lot of low-carb dieters through! Deal not available to purchase. Universal Doctor’s CarbRite Diet Bars - 12 Bars (S’mores) for $2.08 at Walmart! Universal Doctor’s CarbRite Diet Bars - 12 Bars (Toasted Coconut) for $2.08 at Walmart! FYI, this is probably only for one bar even though the product headline says 12. Purchased this deal last time and had to get a refund because of the mistake. Universal Doctor’s CarbRite Diet Bars - 12 Bars (Toasted Coconut) for $11.19 at DPS Nutrition! Universal Doctor’s CarbRite Diet Bars - 12 Bars (Chocolate Mint Cookie, Toasted Coconut) for $2.08 at Walmart! Universal Doctor’s CarbRite Diet Bars - 12 Bars (Toasted Coconut) for $11.89 at DPS Nutrition! 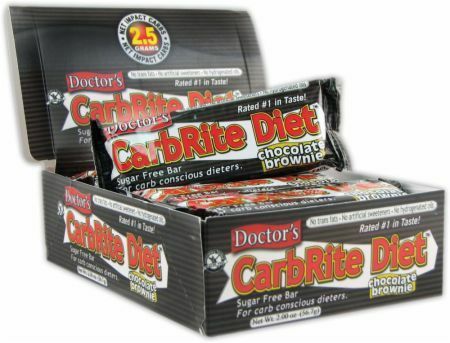 Universal Doctor’s CarbRite Diet Bars - 12 Bars (Chocolate Mint Cookie) for $2.08 at Walmart! Universal Doctor’s CarbRite Diet Bars - 12 Bars (Chocolate Peanut Butter) for $2.08 at Walmart! Universal Doctor’s CarbRite Diet Bars - 12 Bars (Chocolate Mint Cookie, Chocolate Peanut Butter, S’mores) for $2.08 at Walmart!